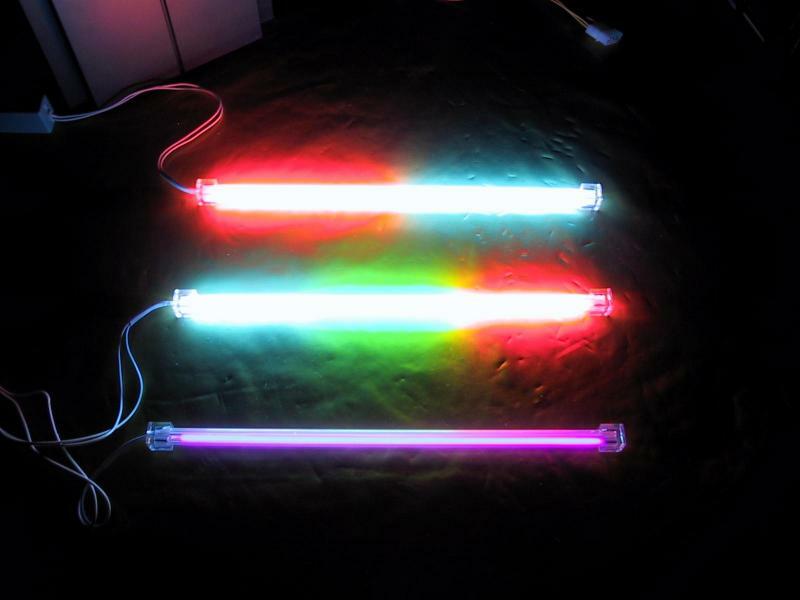 Today we take a look on Sunbeams Multicolour Sound Actived Cold Cathodes, a Red-Green-Blue , a Red-Blue and the UV one ! Sunbeam’s headquarter is in Taipei County, and it’s manufacturing factories are located in Hsin-Chu County, both in Taiwan. In early 2002 they even set up a new plant in Dongguan City, China to further satisfy the needs of the customers. Sunbeam started in 2000 and specialized in cold cathodes fluorescents lamps ( or short written CCFLs :p ) which were mainly applied in LCD backlights , scanners, automation in offices and decorations. Today Sunbeam focused on the wonderful world of PC modding, supplying high quality products that are great looking , innovative and also work great ; What do you want more?